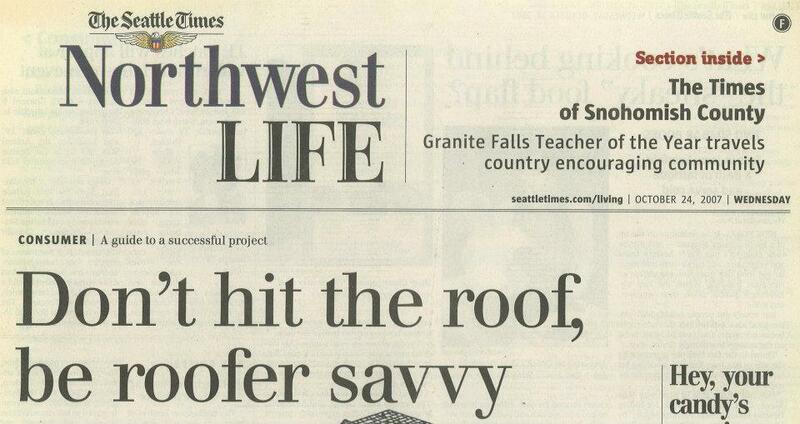 The Seattle Times names Cornerstone Roofing "Top-Rated Roofer" - Cornerstone Roofing, Inc.
“How to find a roofer” on the cover of The Seattle Times – October 24, 2007 — at The Seattle Times. 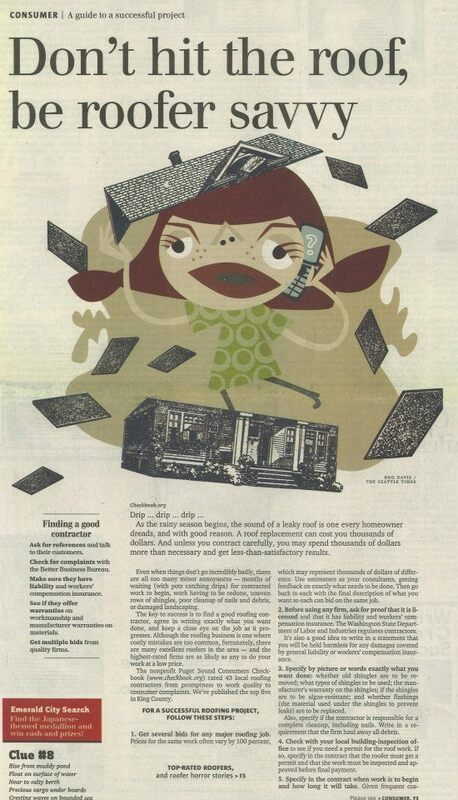 Cover of the Northwest Life section – “A guide to a successful project” — at The Seattle Times. “The nonprofit Puget Sound Consumers Checkbook (www.checkbook.org) rated 43 local roofing contractors from promptness to work quality to consumer complaints. We’ve published the top five in King County.” — at The Seattle Times. 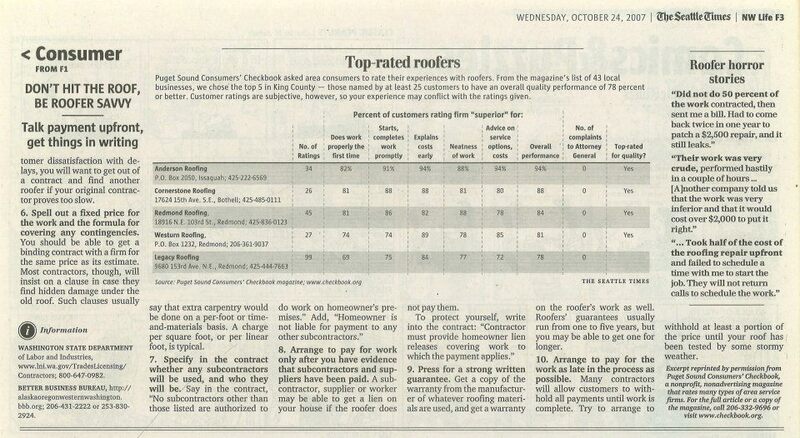 “Puget Sound Consumers’ Checkbook asked area consumers to rate their experiences with roofers. From the magazine’s list of 43 local businesses, we chose the top 5 in King County – those named by at least 25 customers to have an overall quality performance of 78 percent or better.” — at The Seattle Times. 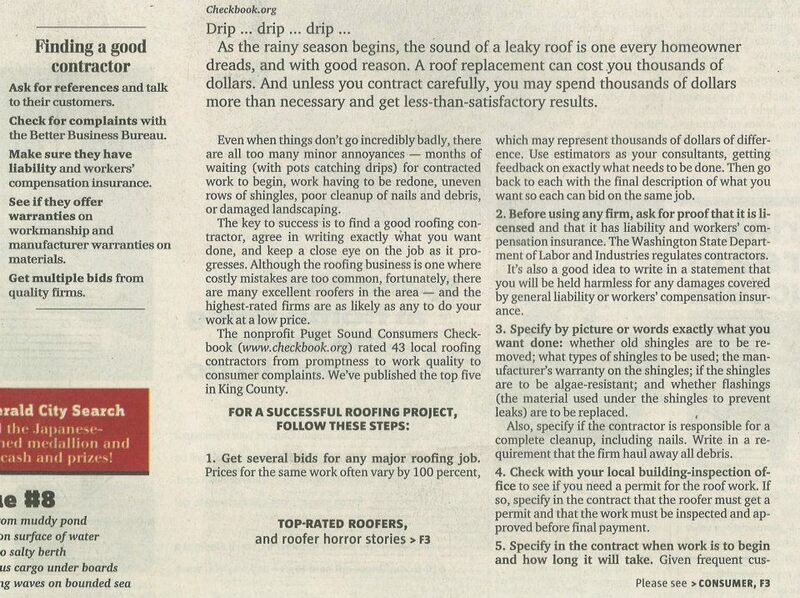 The first page of The Seattle Times article on how to find a good roofing contractor. Cornerstone Roofing was ranked in the top 5 in King County! — at The Seattle Times.